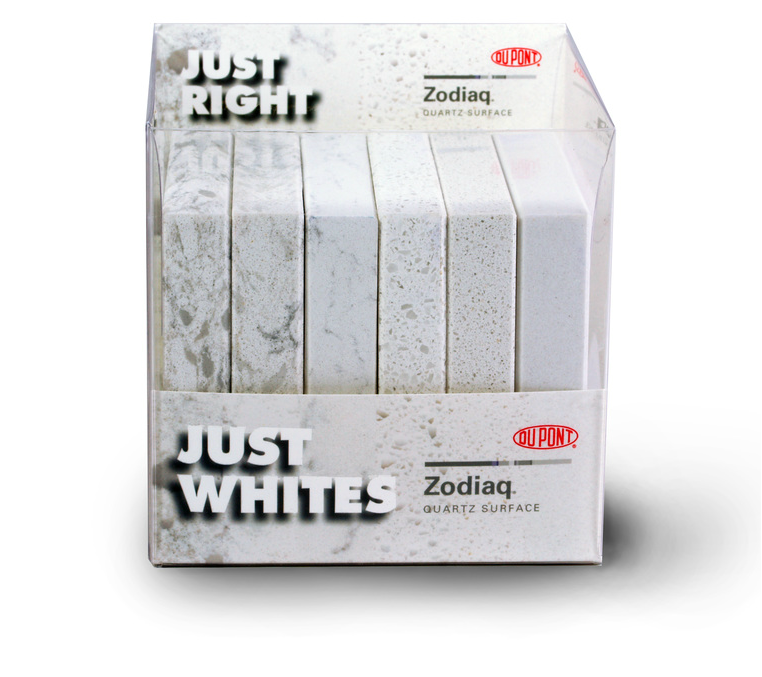 ​Dolan & Traynor is the tri-state distributor of DuPont's Corian and Zodiaq solid service materials with almost 50 years of equity behind their logo. 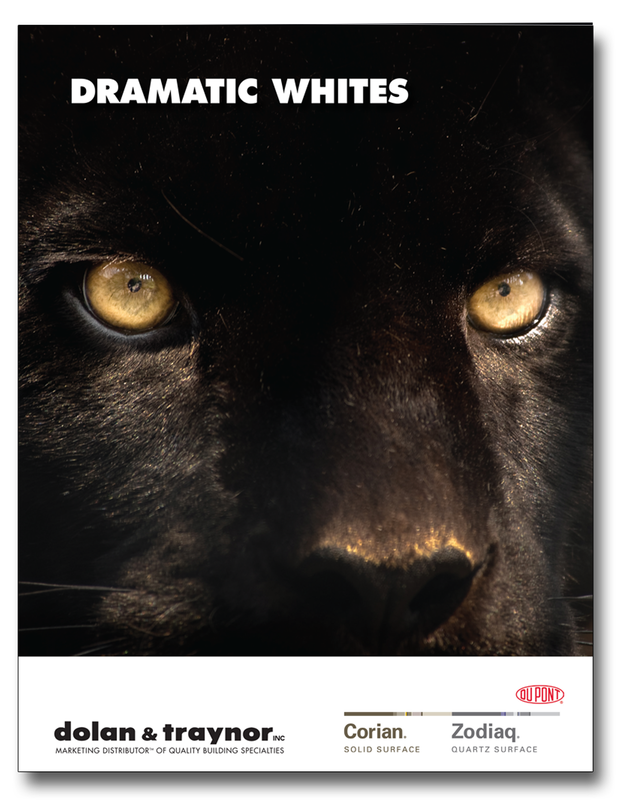 They didn't want to part with it, but in today's competitive environment, they knew they needed to communicate their expertise with an image that stood out from the rest. Dolan & Traynor was in need of a BRANDOVER. To reflect the solid and dependable company that Dolan & Traynor is, without losing the legacy of a hand drawn logo, the solution was to evolve their brand image. The logo was redrawn giving it smoother lines, more consistency and more oomph by making it solid. 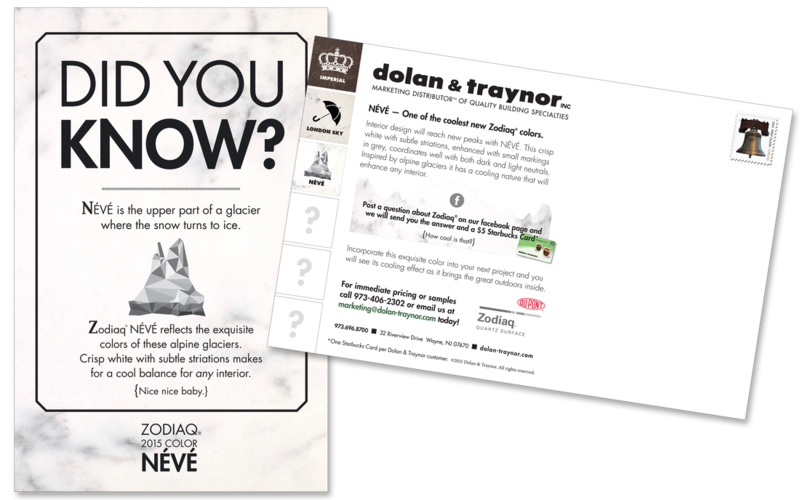 In addition, the products that Dolan & Traynor offer were used as the main visual focus throughout their brand identity and collateral material, bringing what they are selling to the forefront. Elsebeth has elevated our brand. With time and patience Elsebeth guided us from what we were originally looking for to what we really needed, a brand refresh. During every creative development Elsebeth provided us with the “ask” but always included options that opened our eyes to achieving more and going further down the path. We now have a revived brand, a website that also serves as a great in the field sales tool and marketing pieces that have a consistent brand flavor. As we continue to work with Elsebeth we are always impressed with what she delivers. Now, Dolan & Traynor's brand projects professionalism, strength and longevity — both of the products and the service they offer. With the BRANDOVER, their brand is a better reflection of who they are and they are getting the attention they deserve. And the latest? 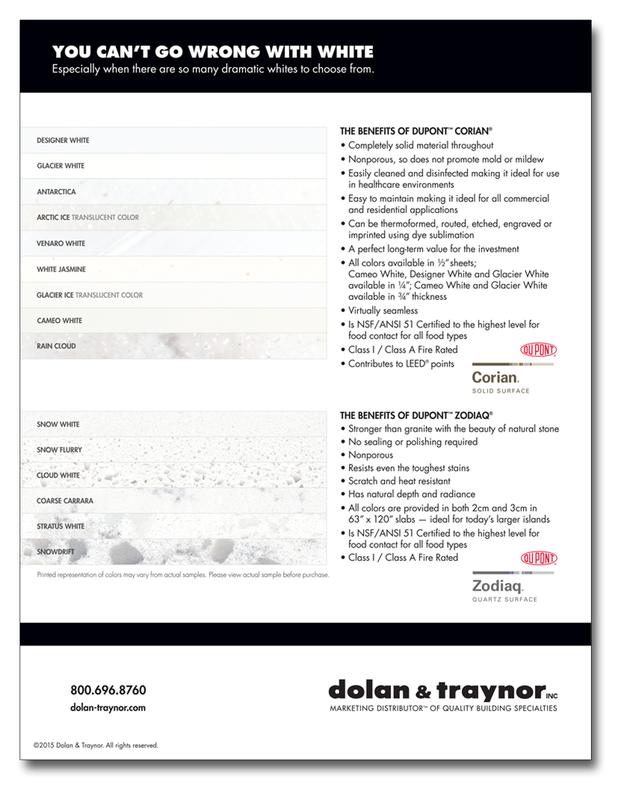 After being in business for over 50 years, Dolan & Traynor has recently been acquired by the largest independently-owned Corian distributor on the east coast!